The BMW 2 Series Gran Tourer is tailor-made for anyone who needs a vehicle to fit their everyday life, but refuses to compromise on style. 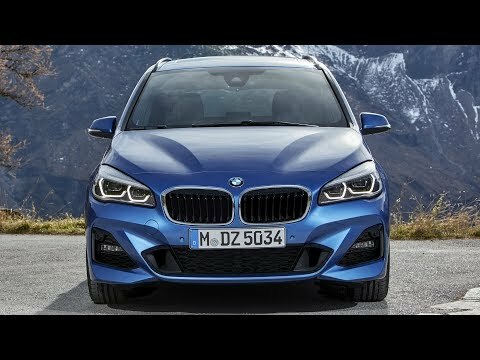 From every angle, it's obvious the BMW 2 Series Gran Tourer has been created with a different design philosophy to its competitors. Successfully combining functionality and sporty aesthetics is something BMW's skilled designers excel at. The result is a class leading vehicle with seven seats, large luggage capacity and an abundance of storage, all within a dynamically designed exterior that appears athletic and low cut. Fuel economy figures for the BMW 2 Series Gran Tourer range: Extra Urban 76.3 – 61.4 mpg Urban 60.1 – 43.5 mpg Combined 68.9 – 53.3 mpg CO2 emissions 109 - 124 g/km. Figures may vary depending on driving style and conditions.Test drive subject to applicant status and availability.